We present a case study of how abstractions can be applied to a protocol model, written in Promela, in order to make in amenable for exhaustive state-space exploration, e.g., by SPIN. The protocol is a simple version of the Five Packet Handshake Protocol, which is used in TCP for transmission of single messages. We present techniques for abstracting from actual values of messages, sequence numbers, and identifiers in the protocol. Instead, an abstract model of the protocol is constructed of variables which record whether variables and parameters of messages are equal or unequal. The abstraction works because the protocol handles identifiers and parameters of messages in a simple way. 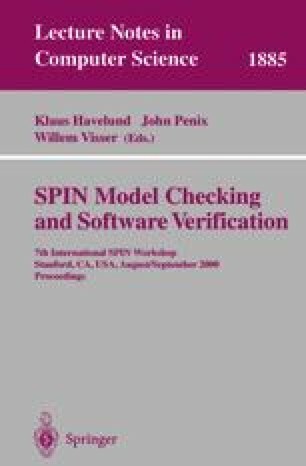 The abstracted model contains only on the order of a thousand states, and safety properties have been analyzed by SPIN.